Asset allocation--the mix of stocks, bonds, cash and other securities you choose--is a retirement plan's foundation. In America, saving for retirement is a critical factor for nearly all working people. Pensions are uncommon for those in the workforce today and Social Security is unlikely to fund all of many retirees' goals, needs and wants. Fortunately, it is easier than ever for you to save for your own retirement, with brokerage firms offering easy access to Individual Retirement Accounts and employers increasingly sponsoring defined contribution plans like 401(k)s. However, many retirement investors still don't know what to do once they have money in their plan. Too many dive right into picking mutual funds or securities, mixing and matching them, hoping for diversification. But in our view, the first step isn't picking and choosing securities-it's spending time weighing the trade offs of the asset allocation you will target most of the time. Asset allocation is the mix of stocks, bonds, cash and other securities you invest in. It is a hugely important factor in determining long-term returns and the associated risks you take. These decisions are by nature trade-offs: They all require you to take certain risks in exchange for return. Most investors know stocks are volatile and carry the risk of loss. This is, to us, the price tag for stocks' high historical returns-the highest historical returns of any similarly liquid asset class. Bonds have lower returns and typically sport less volatility than stocks, but they aren't risk-free. There is default risk-the risk the bond issuer doesn't repay you. There is interest rate risk-bond yields and prices sit on opposite sides of a seesaw, so rising rates depress prices. There is reinvestment risk (the risk you can't replace a maturing bond with one offering similar risk and return characteristics). Cash is almost assured to lose buying power over time, due to inflation. No asset class is "safe" from all risks. There are merely different types and degrees of risk for you to consider. This is, of course, true of Real Estate, too. Some folks are attracted to investing in Real Estate to fund their retirement, counting on the cash flow from rent and/or the price appreciation to pay off. And it can! But there are some major drawbacks you should weigh. For one, it's incredibly difficult for most ma-and-pa real estate investors to actually know what their return is, because the expenses can be many and varied. Repairs, yard maintenance, property taxes, mortgage interest, advertising and legal fees associated with tenants and, potentially, payments to a management company must all be considered. And home prices are volatile! The fact you don't see price fluctuations easily is a drawback of an illiquid asset class, not a sign of stability. The last decade's experience should show that readily. Moreover, location counts. The housing market differs greatly from city to city and even within cities, determined by community. 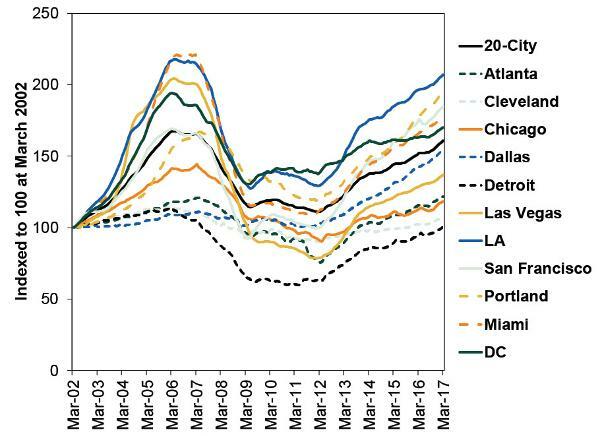 Exhibit 1 plots the Case-Shiller 20-City Composite Home Price Index over the last 15 years, and 10 component city indexes, all indexed to 100 at the start of the chart. Note the huge differentiation! Source: FactSet, as of 5/31/2017. March 2002 - March 2017. Now, you could claim stocks show similar disparity from time to time. And we agree! The differences? The high cost, low liquidity and difficulty in managing property. It's hard to get any real diversification, which could require spreading assets across not only various properties, but various regions and towns with diverse industry inputs. After all, many regions of our country are tilted toward one industry or another. The tech bubble bursting in 2000 smashed Silicon Valley and San Francisco much more than other parts of the nation. The Big 3 automakers woes' hitting Detroit in recent years crushed the metro area's home prices, even during periods when America as a whole grew. Diversifying across regions would mitigate the risk such an industry downturn affects a big slice of your retirement, but it is exceedingly hard to actually do. Still others add in gold (or other commodities), but to us, it has no place in a long-term asset allocation. Since it began trading freely in late 1973, gold has been more volatile than stocks but provided lower historical returns. Not a good trade-off! It isn't a very effective hedge against inflation, illustrated by the fact it fell for most of the 20 years between 1980 and 2000. Inflation, as measured by the Consumer Price Index, rose 119% over the same span. [i] It doesn't consistently rise when stocks fall, either, as the 1980 - 1982 and 2008 bear markets show. Some claim it's a "store of value," but it isn't clear what that actually means. Value, in a capitalist economy, is only what the market will pay-nothing else. On this basis, gold at $1262.70 an ounce is presently storing 33% less value than 2011's $1895.00 peak. [ii] Full stop. So before you pick the funds or investments you'll use, first consider the asset allocation you're targeting. Is it 100% stocks? 50% stocks, 50% bonds? Is it 50% gold and 50% Las Vegas real estate? If so, why? The answer to that question is critical, and we believe it should be based on your goals, needs, comfort with the expected volatility, and your time horizon (the length of time your assets must be invested and working for you). Picking investments before you make that basic choice is putting the cart before the horse. [i] Source: FactSet, as of 5/31/2017. [ii] Source: FactSet, as of 5/31/2017. Gold prices and percentage change, 9/5/2011 - 5/30/2017. The content contained in this article represents only the opinions and viewpoints of Fisher Investments editorial staff. It should not be regarded as personalized financial advice and no assurances are made the firm will continue to hold these views, which may change at any time based on new information, analysis or reconsideration. Investments in securities involve the risk of loss. Past performance is no guarantee of future results.